In Northern California, the Siskiyou County board of supervisors has voted 4-1 to secede from the state of California. It’s a symbolic action that won’t go anywhere. But it highlights a problem in modern America: For people alienated from the system, there’s no longer a place to go. Part of what shaped America was that if people didn’t like the way things were going, they could move west. But the frontier has long been gone. What happens in our politics and in the culture now is determined in the big cities, and people outside the centers of power have little to say about anything because they are constantly outvoted. 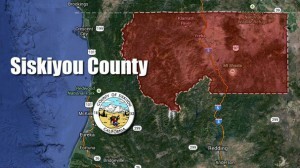 Siskiyou County, according to a report in the Redding Searchlight, has a Republican majority. But the state is heavily Democratic, so in anything that matters, the people of Siskiyou County are always on the losing side. Here in Oregon, rural counties like Linn are in the same boat, always outvoted on issues like forests or mines.